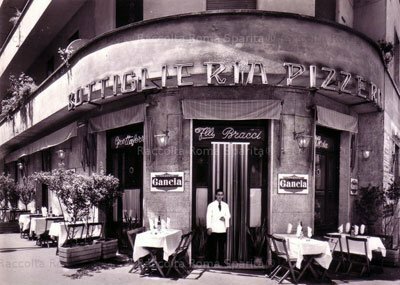 Salvatore Di Matteo got this pizzeria up going in the Fascist 1930s and it hasn’t changed much since the start-up. 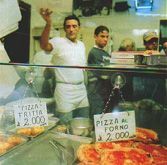 A one-time cold storage plant, it’s all slab marble tables with the pizza oven in full view of diners. You find the usual pizza suspects, margherita and napoletana, but some twists. Fried pizza, for example. No frills here, just dough, toppings, cook, and serve.